Claircognizant (or Clear Knowing) means there is a clear knowing about things. For many strong in this gift it feels like knowledge pours into the top of their heads. Clairvoyant (or Clear Seeing) means you may see things actually manifest physically. Most, however, just see images in their head almost like a movie playing in their mind. Clairaudient (or Clear Hearing) means you will hear them either audibly or inside your head almost like it's your own voice. You may hear an actual name or a suggestion of a name. Clairsentient (or Clear Feeling) means these are the feelers, the empaths. People who have this, feel their angels guidance in their bodies and in their heart. So you may feel the vibration of their name or what their name means. Clairambient (or Clear Taste) means to taste. A spirit might put the taste of a certain food through the medium, to let their loved one know that it is them. 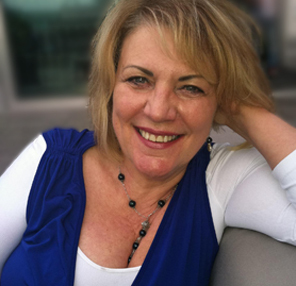 Carin has always had her intuitive gifts and has been reading professionally for several years. She believes that we all have some degree of psychic ability. She describes herself as a liaison to people of all spiritual paths, helping them to open to their highest potential. Carin's mission is to raise consciousness through her readings. She feels when this occurs on a personal level it has a global effect. Carin believes that we all have spirit guides within the stream of consciousness who were chosen by us before we were born. They are with us to help us here on our Earthly journey. Carin begins a reading by going into a light meditation and connecting with her spirit guides. Her guides then connect with your guides. She passes the information on to you as she receives it. It flows primarily through her crown chakra, as well as her other chakras and out of her mouth in a steady verbal stream. She is primarily claircognizant, but also receives information clairvoyantly, clairaudiently, clairsentiently, clairambiently. Carin has a compassionate delivery style. Click on the video above and see for yourself. “A pretty incredible experience. Fascinating!"